We lost Silver too quick. Joe is absolutely heart broken. He loved Silver so much. Silver was his dog from the time he first laid eyes on him. We want you to know we did everything we could for him. He and Angel had just been to the vet the Wednesday before Thanksgiving for a check-up, shots and their teeth cleaned. There was no sign of any thing wrong with Silver. There was a growth on his intestines, sometime Sunday it tore open and waste began to leak into his body. He was great Sunday morning, Joe had taken both of them to the dog park and Silver was fine. Sunday afternoon he started throwing up. He was panting and you could tell he was in pain. We took him to the Emergency Vet about 8:00 PM. They took X-rays and they could see the tumor but not all the leakage. They kept him over night to monitor him, give him pain meds and fluids. This morning we took Silver to our vet, they have a sonogram machine. Dr. Rupert couldn’t see too much more than a lot of fluid and the growth. He drew some fluid from Silver’s belly. He told us there was a lot of infection and he suggested we do surgery to see what was going on. When they opened him he was too full fluid and infection and he couldn’t save him. He sewed him back up and we decided to just let him go rather than come out of the anesthesia. Joe and I held him, released him to the Lord, and he went peacefully. We are still in shock. All of us in our group know Silver well. It took a very long time to find him his forever home. 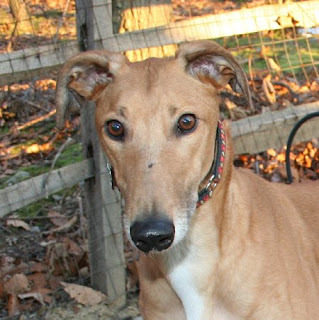 We don’t know why so many people met him and then decided to adopt a different greyhound. We loved Silver and thought he might just be staying at our house. But fate would have it that Silver was waiting for his family to come along. Joe and Lynda loved and cherished Silver more than anyone. They knew what a treasure he was. Silver and Joe traveled everywhere together. Anyone meeting them could see the connection between Joe and Silver! As heartbreaking as this for so many of us, we take comfort in knowing that Silver could not have had a better home. Rest in peace sweet Silver; we will all be together at the bridge one day.